Dermatitis is very common. In fact, over 30 million individuals in the United States have some form of dermatitis, which is a condition that causes the skin to become dry, red, itchy, and inflamed. If you find yourself in a position where your skin is impacted by dermatitis or eczema, know you’re not alone and that we’re here to help. At Arizona Dermatology, we offer an array of treatment modalities for dermatitis and eczema. Our specialists are transparent with you and take the time to inform you on everything you need to know about your skin condition. Taking the time to discuss your dermatitis can help you avoid any elements that may cause further irritation in the future. There are several different forms of dermatitis. Each form will slightly vary from the next, but all are caused by various skin reactions to allergens and irritants. Allergic contact dermatitis is a form of dermatitis we see fairly often. It appears as red, itchy, scaly rashes with visible borders. Generally, the cause of allergic contact dermatitis can be attributed to chemicals or other elements of outside sources. Some of the most popular irritating elements include nickel, fragrances, hair dyes, preservatives, rubber, and latex products. These elements inflict irritation to the surface of the skin, causing the rashes you’ll see with this condition. Unlike allergic contact dermatitis where the reaction only affects a small proportion of the skin, irritant contact dermatitis typically form no boundaries. This form of dermatitis will develop immediately after the skin is exposed to irritating and/or drying components. Some of the most common irritating components include harsh soaps, cleansers, and solvents. Atopic dermatitis is an immunologic disease that causes the skin to be hyper-reactive to various external substances. This form of dermatitis is often a long-lasting skin disease that commonly develops within the first six months to five years of a child’s life. When patients come to us with atopic dermatitis, they often describe it as the “scratch that itches” as it’s accompanied by an irritating scratching sensation. When patients describe these symptoms to us, we’ll recommend that they avoid itching and scratching as much as possible since scratching can lead to their skin swelling, cracking, blistering, and “weeping” a clear fluid. To help you avoid scratching, we may prescribe a prescription medication or ointment. Eczema or dermatitis that’s present on the hand is differentiated from other forms of dermatitis or eczema because it requires a different approach to treat. For example, hands are a part of the body that are at risk of constant exposure to harsh irritants including air, water, soaps, and other cleansing agents. Because of this, treatment for hand eczema may be more aggressive than treatments for other forms of eczema or dermatitis. Neurodermatitis impacts areas of the skin that are otherwise normal and healthy. With neurodermatitis, the problem does not begin with the skin, but rather an itchy sensation that can irritate the nerve ends of the skin if scratched. With an endless cycle of itching and scratching, the skin eventually becomes impacted as well. This can lead to thick, scaly, and irritated skin. The challenge in treating neurodermatitis is to break the cycle of itching and scratching. At Arizona Dermatology, we have several treatment options that will assist in breaking this sequence of irritations. Nummular dermatitis, also referred to as discoid eczema, represents a form of dermatitis that appears as distinct, coin-shaped, oval sores on the skin. This form of dermatitis often forms after skin injuries such as bug bites or severe burns. Over time, these sores become itchy and cause the impacted area of the skin to fill with pus and appear crusty. Seborrheic dermatitis is one of the most common reasons adult patients visit the dermatologist. The symptoms include red, itchy, scaly patches on the surface of the skin. Commonly, these patches form on areas of the upper body that have a lot of oil glands, which include parts of the face, ears, scalp, and chest. Seborrheic dermatitis is caused by a yeast-like organism that lives on the skin. Stasis dermatitis stems from the valves in your veins. It is commonly found in patients over the age of 65. As you age, the valves within your veins, the ones responsible for blood flow, may deteriorate. This can cause red blood cells to filter into the skin, ultimately leading to skin inflammation. The extreme skin inflammation caused by stasis dermatitis is typically found on the lower legs. Because of this, when patients come to us with this form of dermatitis, we’ll instruct them to elevate their legs over their heart for as long as possible. This allows the legs to regain proper blood flow and also reduce the itching sensation. If you have any symptoms related to eczema or dermatitis, it’s important to know when you should seek professional treatment. In our opinion, there are several distinct scenarios in which you should, without a doubt, see a dermatologist about your skin irritations. You’re irritated to the point where you’re having issues sleeping, working, or performing other daily activities due to itching. Your skin is constantly in pain. You feel as though you may be experiencing a skin infection. You’ve tried several at-home remedies with no success. If you identify with any of the above scenarios, read on for more information on the dermatitis and eczema treatments we offer at Arizona Dermatology. 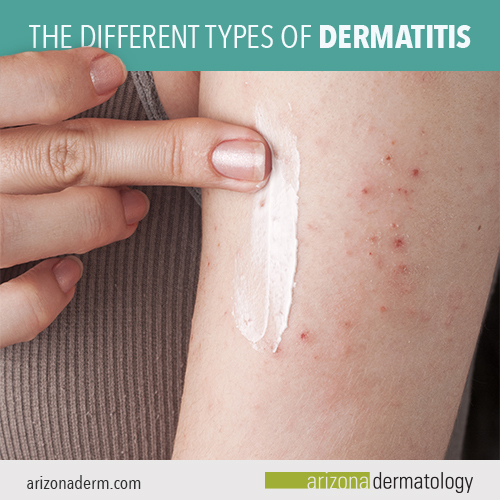 When it comes time to treat your dermatitis or eczema, you can turn to Arizona Dermatology. At our offices, we offer several safe, efficient, and effective treatments for these common skin conditions. Corticosteroid creams or ointments: Relieves patients from extreme scaling and itching. Antibiotics: Treats bacterial infections, open sores, or cracking of the skin. Oral antihistamines: Helps with sleep to refrain itching throughout the night. Oral or injected corticosteroids: Reduces inflammation and controls severe itching sensations. Immunomodulators: Maintains normal skin texture. Phototherapy: Uses light to sooth the skin. This increases the skin’s production of Vitamin D and helps reduce itching and inflammation. Patch testing: Finds the cause of the dermatitis or eczema by applying possible irritants on the skin. RAST testing: Finds the cause of dermatitis or eczema by administrating a blood test. These treatments will help us identify the cause of your dermatitis and eczema, so that we can better tailor your treatment plan. At Arizona Dermatology, all our dermatitis and eczema treatments have been proven effective. However, with that being said, the success of each treatment is dependent on several factors, causing some treatments to be more effective than others. These factors may include the severity of your condition, your type of dermatitis, and other various medical constraints. Treating your dermatitis or eczema is best left to our top doctors at Arizona Dermatology. 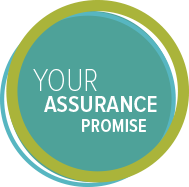 Our doctors will work with your symptoms, budget, and needs to help find the right solution for you. To have your skin condition evaluated, diagnosed, and treated, we recommend scheduling a consultation appointment at any of eight locations across the valley.